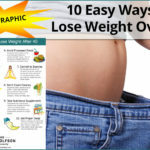 There are many weight loss diets out there. Some restrict calories, some tout low fat and others focus on restricting all animal products. It can easily become confusing for the average person to decide what the best diet is for them. Fortunately, here at the Drs. Wolfson, we have a tried and true plan of eating. This “diet” has been followed for thousands of years by our ancestors and we like to call it a common-sense diet. The technical term for it is the Paleolithic, or Paleo diet. There is a lot of science behind the Paleo diet and its beneficial effects on weight and health. In fact, several studies point to the fact that the paleo diet results in significant weight loss without calorie counting (Source). The Paleo diet focuses on consuming whole foods like fresh vegetables, healthy fats, quality protein and seasonal fruits. It seeks to eliminate processed foods, dairy, grains, added salt and refined sugar. There are many benefits to going Paleo including weight loss, improved heart health and reduced blood sugar. A high fat, low carb focus like that of the Paleo diet results in greater satiety and adherence long-term. There is now established research that shows that low carb diets are significantly more effective than traditional low fat diets when it comes to weight loss (Source). The Paleo diet focuses on cellular carbohydrates that come from plants as compared to acellular carbohydrates, which are over-processed carbs that lack intact cells. The switch to cellular carbohydrates also benefits your gut microbiome, which is another factor for increased weight loss. Protein has the highest thermic effect of food. This means that it takes the highest amount of energy expended (or calories burned) by the body to breakdown protein compared to other macronutrients like carbohydrates or fat. This is one of the reasons why a high-protein diet aids in weight loss. In fact, protein has been shown to increase metabolism, boost satiety and regulate several key hormones involved in weight loss. The Paleo diet is rich in quality protein like grass-fed meat, pasture-raised eggs and wild-caught fish. 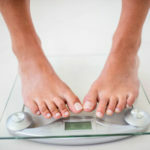 One of the greatest impacts on weight that is seen with the Paleo diet results from the elimination of processed foods. Obesity is skyrocketing due to the Standard American Diet and its excessive intake of processed foods that are packed with calories, loaded with chemicals and low in nutrients. 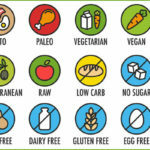 The Paleo diet focuses on nutrient dense foods, which are foods that are rich in nutrients but low in calories. Due to elimination of highly caloric processed foods, added sugar and refined carbohydrates, the Paleo diet automatically reduces caloric intake. 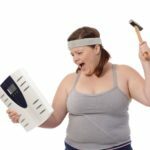 A caloric deficit is proven to lead to weight loss, but difficulty is usually long-term adherence to a calorie restricted diet. One likely mechanism for the success of the Paleo diet for weight loss is that with the high fat, low carbohydrate method there is increased satiety along with reduced caloric intake. Studies have shown that the Paleo diet is more filling than other diets such as the Mediterranean diet (Source). Improving your insulin sensitivity is a good thing especially when it comes to weight management. High insulin levels are unhealthy and contribute to weight gain. By increasing your insulin sensitivity this helps to reduce your insulin levels, drop the weight and reduce your disease risk. 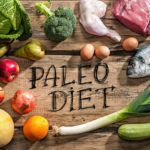 There is evidence that the Paleo diet increases insulin sensitivity and decreases blood sugar better than the American Diabetes Association (ADA) diet (Source). Chronic inflammation of any kind is detrimental to health outcomes and can dramatically raise disease risk. 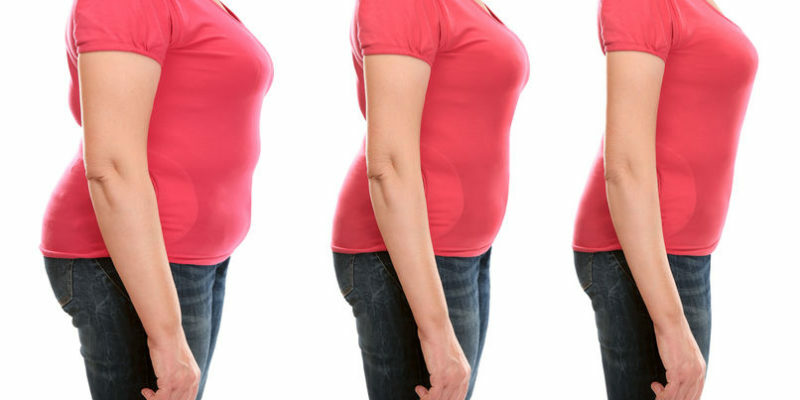 Chronic inflammation and excess weight are greatly linked. The Paleo diet is one of the most anti-inflammatory diets there is. It contains anti-inflammatory fats like omega 3 fatty acids and antioxidants that can neutralize harmful molecules that arise from inflammation. Abdominal adiposity, otherwise known as abdominal fat or belly fat around the stomach and abdomen, is a strong predictor of diabetes, metabolic dysfunction and chronic disease. It is one of the greatest risk factors for cardiovascular disease. Research has shown a low carbohydrate, high fat diet like the Paleo diet is one of the best methods for reducing belly fat (Source). The Paleo diet is one of the most heart-healthy diets there is. Research has now substantiated these claims and is highlighting the ability of the Paleo diet to reduce cardiovascular disease risk factors. There is now significant evidence for the Paleo diet to decrease blood pressure (Source), lower triglycerides (Source), reduce inflammation (Source) and improve blood lipid profiles (Source).